George Dewey was promoted to the rank of rear admiral after the Battle of Manila Bay. Dewey was celebrated in American culture with songs, paintings, and public sculptures. The Spanish-American War ended with a fantastic performance. It starred an American hero, a veteran commander taking control of a crew of both fresh-faced and veteran sailors in a corner of the Pacific few back home had heard about. His opponent: a Spaniard at the helm of his empire’s last stand in a far-flung colony. Both were aided by an efficient Belgian consul who brokered a plan to save Spanish honor, guarantee a bloodless victory, and, most important, keep a revolutionary Filipino general in the dark about the entire operation. But before we get to the main attraction, the fanfare. 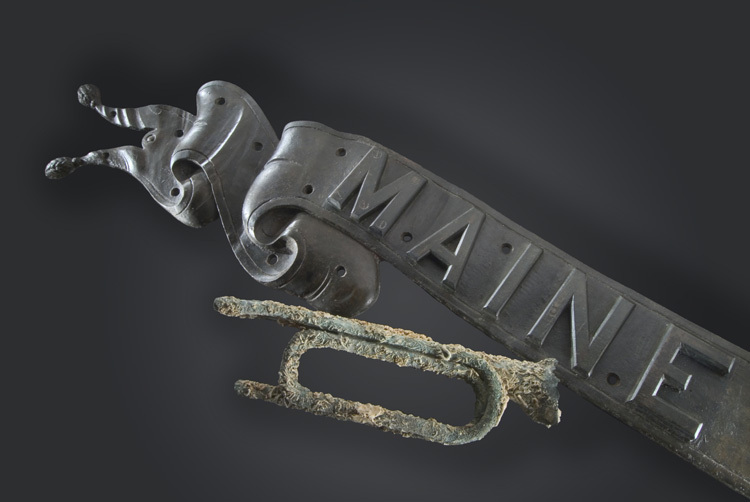 An explosion aboard the USS Maine, which had been anchored in Havana harbor, ignited the Spanish-American War. An investigation argued that the ship’s ammunition stocks had caught fire but was not the result of Spanish sabotage. On April 25, 1898, Congress declared war against Spain, and the U.S. Navy secretary cabled Commodore George Dewey, commanding the Asiatic Squadron, with orders to engage the enemy, not in the Caribbean but across the globe in the Philippines, where military commanders knew the empire was weakest, with a flotilla described as antiquated and decrepit. By 1898, Spain had lost control of its once global reach, with the last of its colonies in the Philippines, Guam, Puerto Rico, and Cuba seized by the United States. Often referred to as decisive, the United States’ battle for control of Manila involved Dewey’s squadron facing off with a Spanish flotilla described as a "grab-bag collection of mostly obsolete vessels" which was in "poor repair." Even so, this event has become the kind that has inspired the creation of songs like "Brave Dewey and His Men (Down at Manila Bay)" and public sculptures like the Dewey Monument in San Francisco’s Union Square. While Dewey controlled the bay with a blockade, Filipino General Emilio Aguinaldo and his army had cornered the Spanish on land. By late May, Aguinaldo’s troops had captured 5,000 Spaniards and surrounded the walled city section of Intramuros in an attempt to starve the colonizing army. On June 12, Filipino revolutionary forces proclaimed the Philippine Declaration of Independence. The United States refused recognition. The result was a standstill: the U.S. Navy blockaded the bay, Filipino troops controlled the city, and Spanish troops found themselves cut off from support. Over the next two months, reinforcements for Dewey arrived from the United States, including 7,000 landing hundreds of kilometers north of Manila, with another 20,000 troops followed by two battleships. With the help of Belgian Consul Édouard André, Dewey began secret negotiations with his Spanish opposite, Governor-General Basilio Augustín. 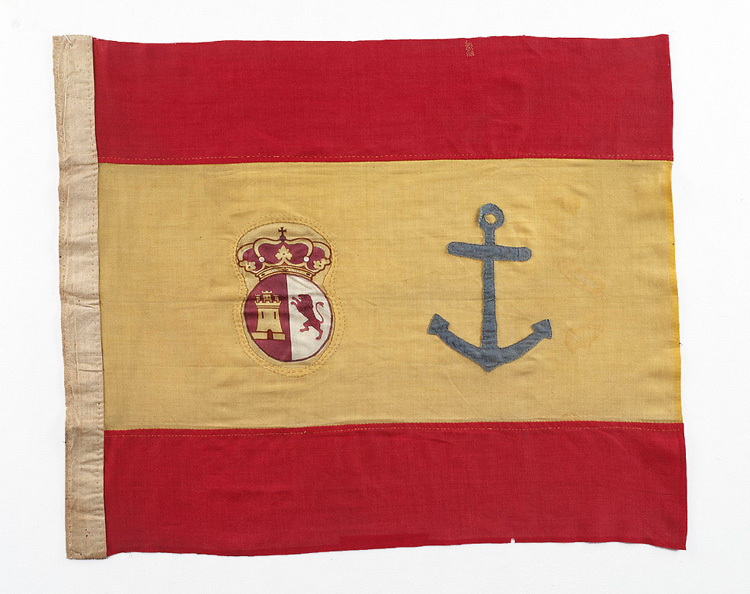 The Spanish commander, whose family had been taken prisoner by Filipino troops, sent a telegram to his superiors describing the harsh conditions the Spaniards faced in the city: starvation, sickness, weak and swollen legs from exposure while defending trenches, and low morale among the troops. For telling the truth and proposing surrender, Augustín was dismissed and ordered to transfer command to General Fermín Jáudenes, whose job it was to hold the city for Spain. 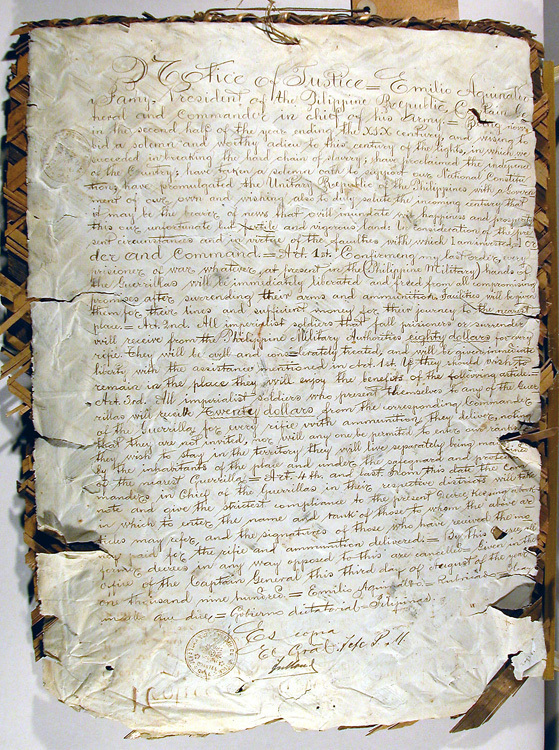 This handwritten note, written in English, was directed to U.S. forces occupying the Philippines, offering them cash for surrending themselves and their weapons. The Spanish, who had control over the Philippines since at least 1565, were not about to surrender to their colonial charges. The Americans, on the other hand, were new to the Philippines. The U.S. military’s treatment of native Filipinos echoed the longer histories of Americans’ attitudes toward African Americans and Native Americans back home. During negotiations between Dewey’s camp and Jáudenes, U.S. Army General Wesley Merritt, commander of the San Francisco–based VIII Corps, shared his views of Filipinos. In an 1899 interview, Merrit told a journalist from the New York Sun that he had come "with orders not to treat with the Indians [sic]; not to recognize them, and not to promise anything," adding, General "Aguinaldo is just the same to me as a boy in the street." The Spanish commander held a similar attitude; he was "willing to surrender to white people," but never to Filipinos. The players had agreed on the terms for the performance. Only André, Dewey, Merritt, and Jáudenes knew of the complete plans. The success of the performance hinged on keeping Filipino troops out of the city while U.S. and Spanish troops exchanged places. On the morning of August 13, the mock battle for Manila began. The band on board the British armored cruiser HMS Immortalité serenaded the Americans with "patriotic aires." At 9 a.m., the "attack" commenced with Dewey’s flagship, the protected cruiser Olympia, lobbing a few shells into the old fort at Malate while the Spanish guns on the coast provided no response. Recently arrived land-based U.S. forces held back Filipinos outside the central city. The historian Teodoro Agoncillo understood the theatrical nature of the event when he wrote: "The few casualties on both sides in the phony attack were due to some ‘actors’ bungling their ‘lines,’ or possibly to the fact that very few officers were let in on the charade." 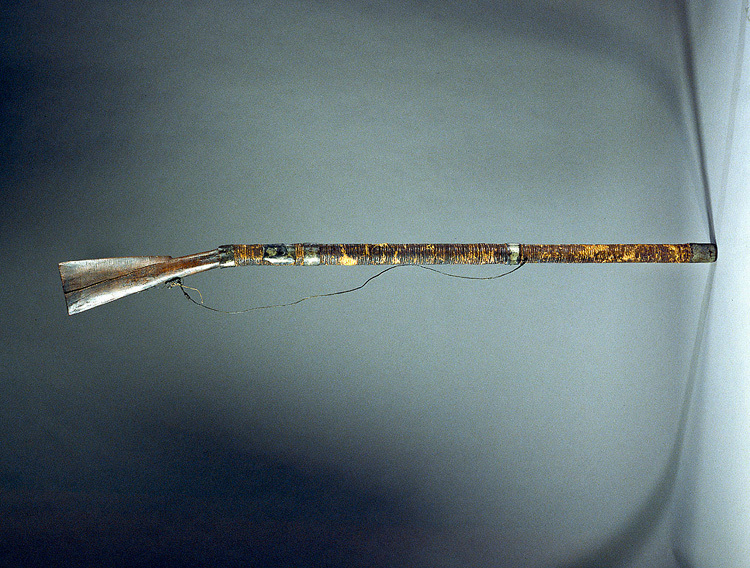 To confront thousands of U.S. occupying forces, Filipino combatants, low on ammunition and weaponry from revolting against the Spanish in 1896, resorted to guerrilla warfare and improvised military tactics, including making their own arms. According to plan, Dewey’s staff transmitted the code for surrender to Jáudenes, and the Spanish obliged by raising the white flag at 11:20 a.m., just in time for lunch. To bring the morning’s shock and awe to a close, the crew of the British armored cruiser HMS Immortalité fired a twenty-one-gun salute in honor of the U.S. flag that was hoisted atop Manila’s Fort Santiago, prompting Dewey to say, "I hope it floats there forever." The mock battle offered Spanish forces in the Philippines an opportunity to save face by surrendering not to their Filipino charges of more than 300 years, but to militarily superior Americans. The Americans played the well-crafted role of savior. But Philippine freedom fighters were not convinced by either of the performances. 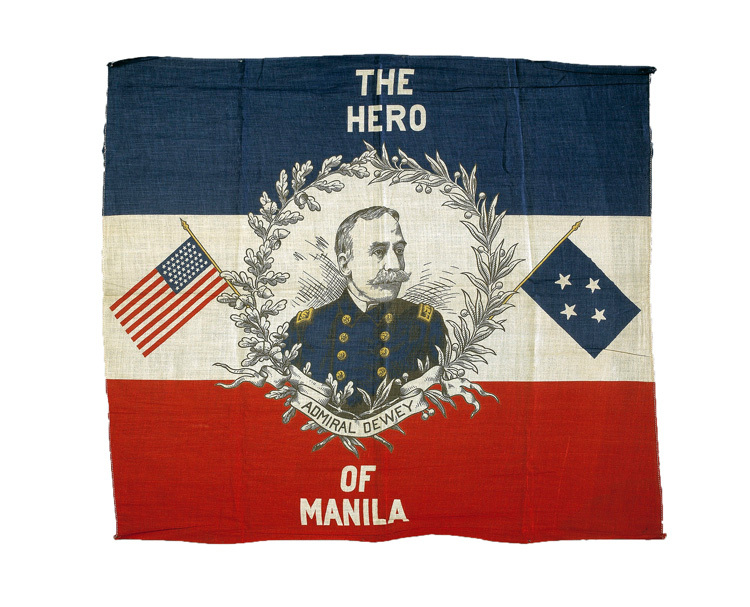 The mock battle that ended the Spanish-American War reinforced the Filipinos’ debt to their new American masters for the gift of regime change. That military engagement proved only to be the prelude to the United States’ war with the Philippines from 1899 to 1902, which took the lives of 4,200 American and at least 20,000 Filipino combatants. The U.S. Department of State’s Office of the Historian estimates that 200,000 civilians died. The most popular writer of his time, Mark Twain, had much to say about the U.S. mission in the Philippines: "It should, it seems to me, be our pleasure and duty to make those people free, and let them deal with their own domestic questions in their own way. And so I am an anti-imperialist. I am opposed to having the eagle put its talons on any other land." Adapted from The Day the Dancers Stayed: Performing in the Filipino/American Diaspora by Theodore S. Gonzalves. Copyright © 2009 by Temple University Press. Used by permission. All rights reserved. Theodore S. Gonzalves is Curator of Asian Pacific American History at the Smithsonian’s National Museum of American History.